Vodafone has confirmed it will be ready to hit the 5G on-switch as soon as devices are available on the market, though only in Manchester in the first instance. Speaking at the gloriously named Future Ready press conference in the telcos Newbury HQ, CTO Scott Petty confirmed the team will be ready for a commercial launch in 2019, though whether the devices will be available is another matter. Having launched in seven urban and rural locations over 2019, Vodafone will have 1,000 5G sites live by 2020 as the beast scales. It’s unsurprising the tech hubs will be getting the 5G euphoria first, though the rural focus is an interesting one. Few rural communities have fast-tracked to the front of the queue with any technology breakthrough, though Petty highlighted such experiments are important in building the 5G business case. 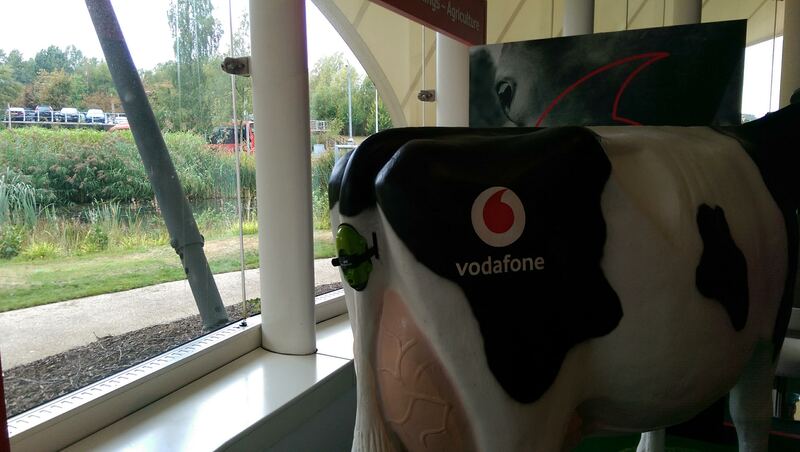 It’s not just about autonomous vehicles, smart grids or real-time business analytics, what about agricultural IoT (the connected cow made an appearance at the event) and fixed wireless access? These are use cases which can be validated in Cornwall and the Lake District, two regions which have been identified as rural hot spots for data activity. IoT is clearly a massive driver for the business, the breadth and scale of the IoT business was pointed to unsubtly several times throughout the day, with the team claiming it has the biggest and fastest growing IoT business worldwide. 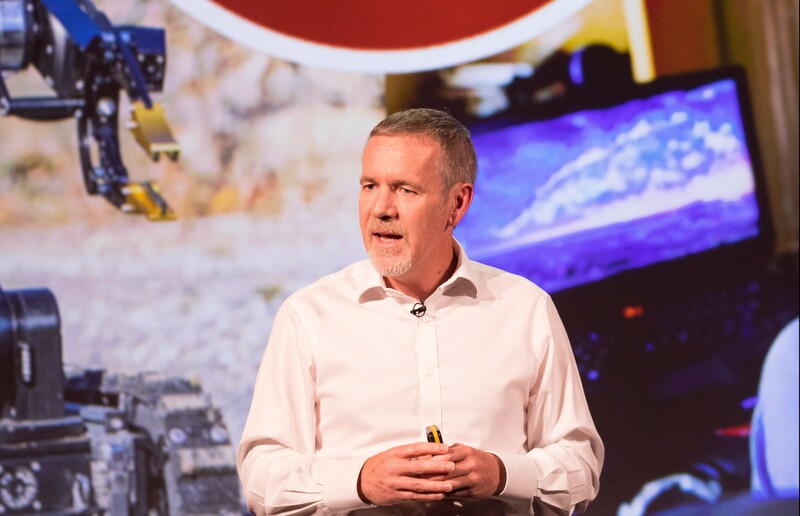 70 million ‘things’ are already connected to the network, a number which is set to increase as Vodafone continues to engage its sizeable enterprise business customer base. With EE declaring its 5G network would be up and running during 2019, it was only going to be a matter of time before Vodafone got in on the act. But before we get too excited, we’ll have to wait for the devices to hit the market. “You will see some announcements around MWC from Android manufacturers with their own silicon,” said Petty, hinting perhaps at Samsung and Huawei. LG and Motorola are seemingly going to be the first manufacturers to launch in mid-2019, though Petty is looking more towards end-2019 and 2020 for scalable launches to the mass market. As it stands, there is still a lot of work to do. Having travelled to the US to visit currently unnamed manufacturers, Petty highlighted the devices are still too big, 2-3 times the size of current devices, with the battery and antennas proving to be the difficulties. This is nothing to be too shocked about, new spectrum means new problems with the antennas and getting them small enough was always going to be a challenge. The devices are also far too demanding on the battery, again unsurprising. Petty highlighted when it came to MIMO panels, it took the industry 12 months to get a functional product down from 60kg to a more suitable 20kg. The technology works, it’s just shrinking it to a practical size now. Of course what is worth noting is this isn’t just smartphones but also network equipment availability. 5G specifications were only finalised last year so there is a race to the finish line for the network vendors, all excluding ZTE which does not feature in the Vodafone footprint whatsoever. With the 5G dawn just about to break, Vodafone looks to be in a promising position. Redstream, its fully integrated voice, data, optical and IOT network, is up and running with 4000 access nodes and 1500 pops already deployed, while more customers and services are being migrated across. This is a key pillar of the 5G strategy, as Petty highlighted it allows the team to switch off the troublesome legacy equipment and networks, while also retiring legacy products. 80 have already been sent to pasture. “Redstream is the foundation building block for everything we need for 5G,” said Petty. Elsewhere, a new digital exchange layer, which allows people to separate the digital services from the underlying billing systems, has been developed allowing the team to build highly flexible, agile technologies and services, adding new channels and services rapidly. Alongside the progression adoption of Devops throughout the business, the team can move from quarterly to monthly and weekly software updates, with the option of daily updates being the holy grail. With the 5G promise so close to becoming a reality, some of the European telcos are doing their best to wrong stereotypes. With Vodafone UK patiently hovering around the on-switch, waiting for the emergence of compatible devices, some might be fooled into believing the UK is a 5G leader.